I clicked with Pete right away. Crazy, right? I still find myself in moments of shock thinking, “how did I move to an entirely new city and meet someone so special, so soon? 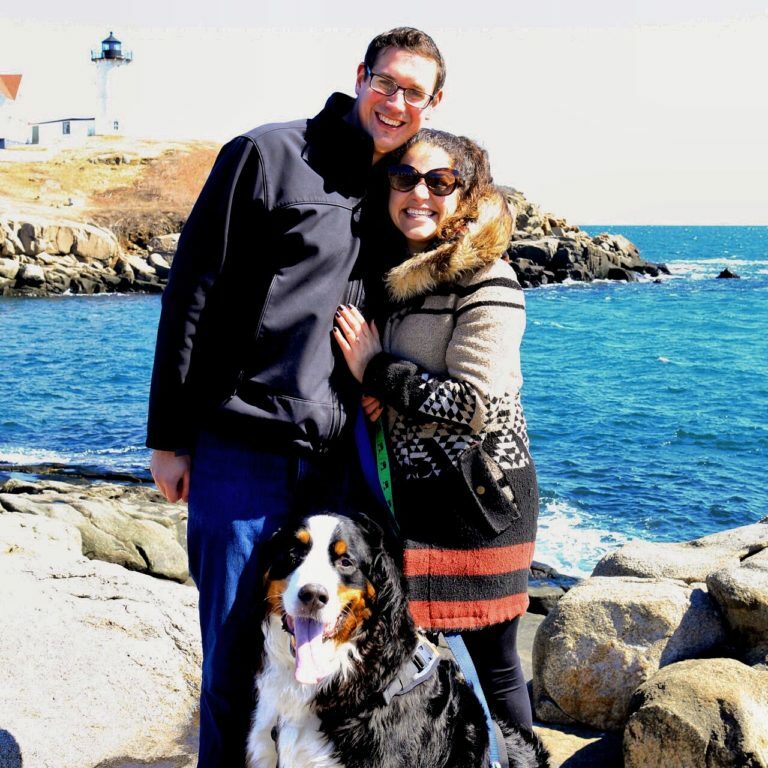 !” It was three years ago when I moved to Boston and quickly fell in love with my beautiful Southie apartment, my new job and the man that just may understand me more than I understand myself. All within three weeks, I should add! *chills! * Fast forward to now, Pete proves to know me more and more each day. 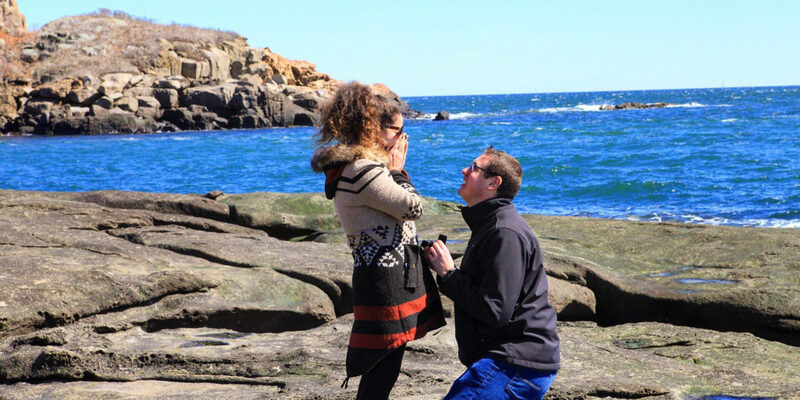 His proposal was the perfect surprise, tailored perfectly to me. And my engagement ring is beyond perfect. How did he do it? Well, he’s Pete! That’s how. The craziest part of our engagement just might be how much Pete “gets” me. Without knowing, Pete planned the perfect engagement in a location that, years back, really settled me into my new home. 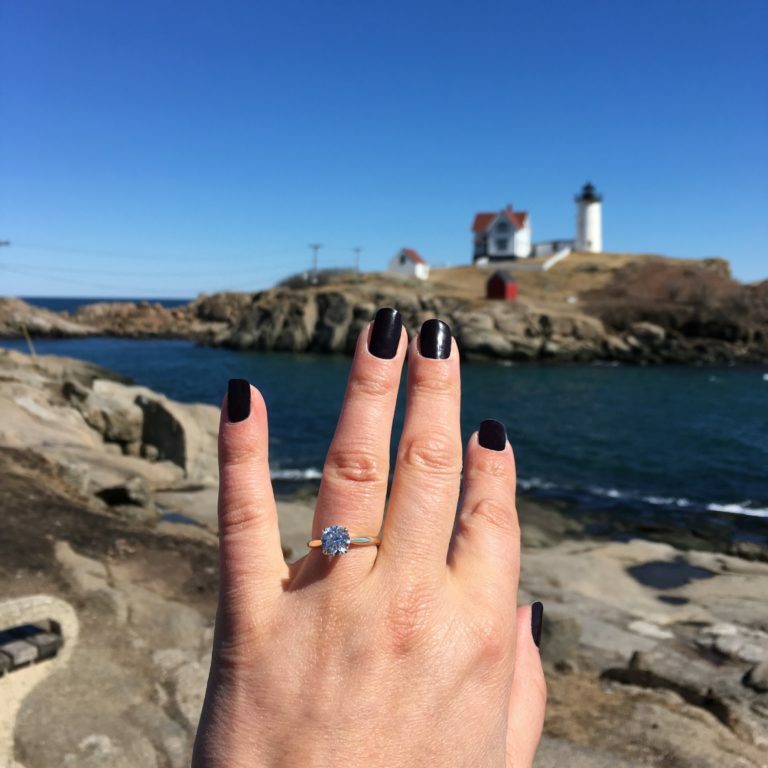 Cape Neddick, Maine holds a special place in my heart because the Nubble Lighthouse is where my sister introduced me to my northern home and where Pete popped the question. The best part? 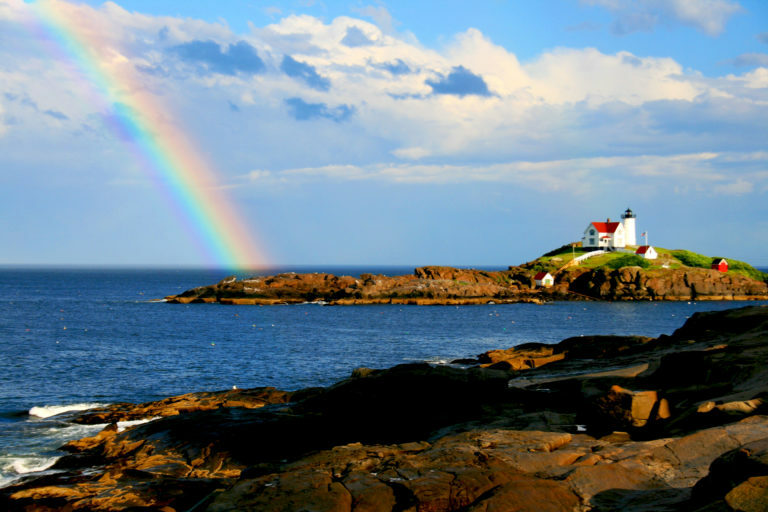 In the three years of dating, it never came up how much I love the Nubble Lighthouse. He just knew. On a very busy March day, I could not have been more oblivious to what Pete had planned for me. Errands with his sister, Andrea, were my priority for the day. Being in charge of my sister’s baby shower had my head spinning (in a good way, of course)! The point is, my mind could not have been further from what was coming my way. The ring is everything I could have wanted – and more. Pete and I shared many conversations about how we knew we would marry each other. I was definitely surprised by the proposal, but we did visit Boston’s own E.B. Horn together. I wanted to have an appreciation for the ring that Pete would be buying for me, and Doug taught us everything we needed to know. He took great care of us. After our visit, Pete was left to choose the ring and he certainly impressed. It’s very simple with a solitaire diamond set on a yellow gold band. I love how the simplicity makes the diamond the true star. I don’t wear a ton of jewelry, so it fits my aesthetic – proving, sometimes, Pete really does know me better than I know myself. Every time I glance down at my left hand, I can’t help but smile. I love my ring for how beautiful it is, but most importantly for what it represents. E.B. Horn helped Pete choose the most special piece of jewelry I will ever wear, and I could not be more thankful. Here’s to a lifetime of laughing, skiing, hiking and inevitably doing nothing at home together, Pete! No matter the piece or purpose, we want to make your jewelry shopping experience the best it can be. That’s the attitude that we’ve had for 178 years and we’re happy to see it’s worked all this time. Visit our site to learn more.